Home Editor's Picks Naira’s unique pre-marriage Grahpravesh in Yeh Rishta…. Tilak rasam is celebrated at Goenka house. Dadi is irked seeing Singhania women. Naira is at home and taking care of her beauty. She applies the face pack to make her skin glow. She gets a call from Kartik. 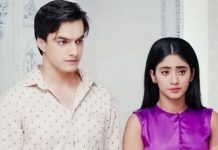 Kartik challenges Naira to come to his house in tilak if she can. They have a video chat. She sees the tilak rasam going on. Naira accepts his challenge. They have a cute conversation. Naira enters Goenka house in unique way. Naira runs inside the Goenka house to save Kush. Naira has face pack and does not care for Dadi’s wish, who asked her not to come in Tilak. Naira steps on red color and runs inside the house, leaving the Laxmi marks on the floor. Everyone gets shocked with Naira’s strange entry. Naira does not care that Goenkas are seeing her, and runs to Lav and Kush. Kartik laughs seeing Naira, having face mask and looking scary. Kartik stops her and asks what’s the matter that she had to come this way. Naira tells everyone the reason why she came in hurry. She says I was chatting to Kartik on video call and saw Kush getting locked in the cupboard. She saves Kush and gets him out of the cupboard. 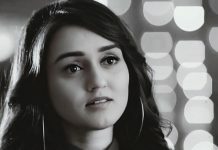 Kartik thanks Naira for saving Kush. Naira apologizes to Dadi and says I did not wish to come, I was tensed about Kush, I called everyone, but none answered. Naira takes Dadi’s blessings. They find Naira’s grah pravesh happened before marriage. Naira will be held responsible for abshagun happening in Kartik’s life. 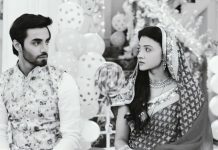 Will Dadi succeed to break Kartik and Naira? Keep reading.